Supermodel and super-CEO Tyra Banks’ new direct selling cosmetics line, TYRA Beauty, announced today it is partnering with truth®, the life-saving national youth smoking prevention campaign. The “Smoke Your Eyes, Not Cigarettes” collaboration with truth shapes perceptions of health and beauty with the goal of saving lives. Tobacco is still the number one cause of preventable death in the United States. It’s an issue that hits close to home for Banks; her grandmother passed away from serious complications caused by long-term tobacco use. Since the launch of the truth campaign in 2000, teen cigarette use has dropped from 23% to just 8%. However, while cigarette smoking has declined, tobacco use as a whole has remained steady due to emerging tobacco products like flavored cigars and hookah as well as the misperceptions surrounding social smoking. truth aims to spark conversations about tobacco. truth “Finishers” are making this the generation that ends tobacco use for good by creatively spreading the truth about tobacco. TYRA Beauty has launched this campaign in conjunction with the release of their newest product for the holidays — ‘Smoky Smize’ eye shadow palette. This palette contains four wet/dry shadows that create a variety of smoky eye looks in the most wearable shades. Plus, its unique angled ‘Smoky Smize’ brush allows you to see exactly where to apply your shadow in order to achieve the perfect Smize. TYRA Beauty’s direct selling force, known as Beautytainers, will do their part to spread awareness about the “Smoke Your Eyes, Not Cigarettes” campaign and introduce ‘Smoky Smize’ to customers nationwide. Now through 2016 TYRA Beauty will support truth’s message through its direct sellers and social media channels. 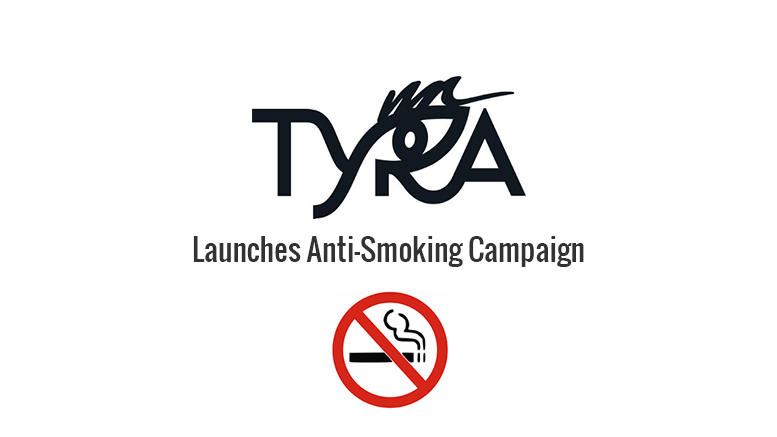 Be the first to comment on "Anti-Smoking Campaign Launched by TYRA Beauty"